World Wide College of Auctioneering is proud to be the leader in training World, State and Provincial Champion Auctioneers. Although dedicated to the same education and training for all students to become successful Auctioneers in their respective fields and areas of endeavor - some Auctioneers, men and women strive to become champions! World Wide has trained more world champions than anyone else. Come Train With the Champions! Col. Addis has been the auctioneer at some of the most prestigious horse auctions in the world selling millions of dollars worth of horses in Lexington, Kentucky. Having trained over 40 world Champion horses in the show ring, he is constantly in demand for his ability to know good horses, their value, and how to achieve top prices at auction. As a former owner of WWCA and Iowa State Champion Auctioneer, he will teach you how to do the same. A 1961 graduate from World Wide College of Auctioneering, Marvin was judged 1989 International Livestock Auctioneer Champion in Cincinnati, Ohio, during the National Auctioneers Association Convention. He and wife Lu Ellen make their home in beautiful Tennessee. 1991 International Champion Auctioneer & 2005 World Champion Automobile Auctioneer. A World Wide College of Auctioneering graduate of 1975. His tremendous personality along with his auctioneering professionalism won him the top honors. A captivating speaker always in demand. Graduating from World Wide College of Auctioneering in 1982, Col. Mike Baxter won the 1992 International Champion Livestock Auctioneer and 1995 World Champion Livestock Auctioneer contests in a class of his own. A natural singer in addition to Auctioneer, he is second to no one. Graduated from World Wide College of Auctioneering in Dec. 1971 and was awarded the title of World Champion Livestock Auctioneer in 1989, 1988, NAA International Auctioneer Champion, and 1995 All-Around World Champion Auctioneer. His ability and enthusiasm have made him a champion in all aspects of auctioneering. Now President of WWCA, he loves training new Auctioneers. When the word auctioneer is brought up in conversation, it can be summed up with two words, "Bruce R. Brock." Bruce has pioneered the auction franchising business. He is the President of Brock Auction Company started in 1919. His company is heavily involved with the sale of commercial, residential, and agricultural real estate, using the auction method of marketing. If there is any question about a real estate man's ability to sell livestock, the question can be answered this way 1993 International/Canadian National Champion Livestock Auctioneer, and in 1994 World Champion Livestock Auctioneer. If Real Estate is your game, Bruce R. Brook is the Real Estate Auctioneer name. August, 1985, saw the graduation from World Wide College of Auctioneering of Col. Mark Buleziuk. Mark has progressed to win the 1994 Canadian Champion Auctioneer, 1994 Canadian All-Around World Champion Auctioneer, and in 1995 World Champion Automobile Auctioneer titles. Mark certainly epitomizes what being a professional really means. Selling many auctions on both sides of the border, this Canadian proves why he is the best. Freddie Chandler was born, grew up and passed away on the same farm in the same farm house where he lived his whole life in Chariton, Iowa. Although Freddie never competed for an auctioneering championship, this 67 year career Auctioneer traveled by car, train, and once on horseback to conduct an auction selling his trademark Hereford Cattle throughout the U.S. and Canada. Because of his velvet smooth chant Col. Chandler was selected to conduct the first bid-calling seminar at the National Auctioneers Association Convention. An instructor at World Wide for many years, Freddie was a Champion in every sense of the word. A graduate of World Wide College of Auctioneering in1967 at age 10. In 1979 was declared the winner of the coveted title World Champion Livestock Auctioneer at the age of 22. Clarity, speed, poise and enthusiasm were the qualities the judges considered in their selection. One of the World Wide College of Auctioneering's youngest students and youngest World Champion Auctioneer ever in the history of Auctioneering - this guy has got it! 1991 World Champion Livestock Auctioneer. A true Champion! A World Wide College of Auctioneering graduate of 1980 who joins the other champions for the top honors from the heartland of America. Phil followed in his father’s footsteps as an Auctioneer. His dad Norm graduated from Reisch School of Auctioneering in 1958. Col. Faulkner has exceeded heights in the auction profession even his father did not imagine. A 1995 Ontario Champion Auctioneer, 1995 Runner-up Canadian Champion, All-Around World Champion finalist, and most recently 2003 World Champion team and 2003 1st runner-up World Champion Auto Auctioneer. His smooth delivery is evident each time he takes the microphone. His natural ability, warm personality and passion for the profession make him one of the best. 1992 World Champion Livestock Auctioneer - graduated from World Wide College of Auctioneering in 1980 and is carrying on with his lifelong dream. Col. Jim Funk is a true champion in the auctioneering world, from the rolling hills of eastern Iowa. Col. Hill is a 20-year veteran champion auctioneer. His broad-based selling experience includes fine art, livestock, real estate and more for private estates, public charities and corporations. Fluent in Spanish, Hill has mastered auctions in Canada and Mexico, and maintains expert auctioneer status throughout the United States. Though equally adept at auctioning fine art at a black-tie affair as he is selling horses in Wranglers, activities that appeal to him most are emceeing and selling at celebrity fundraising benefits and high-profile charity affairs. The Bakersfield, CA native earned his Bachelor of Arts Degree in Music Arts from Northern Arizona University. Kaija Kokesh grew up in the beautiful farm country of Minnesota. As a young girl 12 years of age her Auctioneer Dad and Mother, Steve and Carol sent her off to Auction School in Mason City, Iowa - the rest is history. Now an International Champion Auctioneer she credits her parents as her inspiration. A family woman she makes her home with husband Brian and four children. Col. Knight was a student here in Dec. of 1960. He was the 1987 World All-Around Champion and the 1987 Canadian Champion. Canada has produced so many good auctioneers and Ken Knight is a World Champion. John Korrey grew up on a ranch in the beautiful high plains of Colorado, this rodeo cowboy is as comfortable on horseback as behind the microphone. A 1980 World Wide graduate he quickly made his mark in our profession. A Triple Crown Champion, he has won the Greater Midwest Livestock Auctioneer Championship, International Canadian Livestock Championship and the prestigious World Livestock AuctioneerChampionship. This versatile Auctioneer makes his home with wife Janet and 2 daughters and flys around the country as auctioneer for Richie Bros., the heavy equipment Auction Company. Winner of the First Annual World Championship Auctioneering contest in 1989 and All Around World Championship held in Canada in 1991. Mike's sincere dedication to auctioneering has made him twice a champion. He graduated from World Wide College of Auctioneering in 1977. This Auctioneer went to World Wide in March 1983 as an 18 years old kid out of high school, the tuition paid by his mother Helen and Auctioneer dad Don as his graduation gift. Armed with a few dollars in his pocket and a steel determination to be the best, fifteen years later he proved to be the valedictorian of his class as he was named - 1998 World Champion Auto Auctioneer in Nashville, TN. From leaving home after auction school to find auctioneer work, McGlothlen now is in demand selling autos in Alabama, Georgia, Tennessee from Florida to California, and through out the country. With wife Debbie, son Kyle and (future Auctioneer) daughter, Kaitlin, we are all proud of Kevin. 2003 World Champion Auto Auctioneer is only the start for this talented young man, a second generation Auctioneer who credits his father Charles, a runner-up World Champion Auto Auctioneer himself, as the inspiration to be the best. 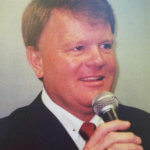 Now selling 6 auto auctions per week, John, the 1994 Virginia State Champion, states, Mike Lambert is one of my heroes. A Christian family man, John says, "I know it is only through God’s grace I am able to do what I love to do." John is a true Champion in Auctioneering and life. Col. Shane Ratliff won 2 World Championships in 1992. In Feb. of 1992 he was named World Champion Automobile Auctioneer and in July he won the International Contest. Another true champion from World Wide College of Auctioneering graduated in 1980 admired by many for his smooth rhythmic style. Affectionately called "The King" by his fellow auctioneers, he is a professional and a gentleman. The 1990 World Champion Automobile Auctioneer is Col. Ray Reams from Kentucky was a legend in southeastern part of the United States. Ray was known for his endurance and vast car knowledge and this World Wide College graduate climbed to the top of his profession. 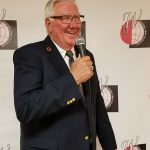 Graduated from World Wide College of Auctioneering in 1972 and was awarded the title first ever All Around World Champion Auctioneer at the 1984 Canadian Auctioneer's Association in Winnipeg. Making his home in beautiful Canadian heartland, Garth is just one of the many successful Canadians who are World Wide College of Auctioneering graduates. Steve Rittenhouse started his auctioneering career attending WWCA in June 1984, specifically enrolling to become an auto auctioneer. With no prior experience but a natural talent and great desire he went back to fulfill his dream to be an auto auctioneer. He has since sold at auto auctions in Ohio, Kentucky, West Virginia, Michigan, Pennsylvania, Tennessee and Indiana to name a few. He presently sells 6 auto auctions each week selling millions of dollars of automobiles under his gavel as Auto Auction executives vie for his availability to work for them. Steve and wife Phylis make their home in Groveport, Ohio. His tremendous personality and ability won him the award of runner-up World Champion at the 1981 World Livestock Championship. He graduated from World Wide College of Auctioneering in 1966. He and his wife Marla are dedicated family people always ready with a kind word and quick smile. One of World Wide's top instructors. Took the 1980 honors as World Champion Livestock Auctioneer and was Reserve Champion in 1979. He was a graduate of World Wide College of Auctioneering in 1966. When asked "How does it feel to be a World Champion?" "I'm deeply honored - coming from Reserve Champion is something that I never really expected, but was always hoping for, and it is a great honor!" A humble man with great talent. A 1986 graduate of world Wide College of Auctioneering, Shannon has been perfecting her auctioneering expertise to go on to win the 1995 NAA International Champion Title. Shannon is a real credit to her profession and is extremely involved in NAA activities. This lady took on the world and is now on the summit. 1999 World Champion Auto Auctioneer. When you speak of a young man with a world of talent it's Clint Sherman - the youngest World Champion Auto Auctioneer ever at the age of 25. A second generation automobile man, Clint credits his Dad, Joe, with the inspiration to be the best. With wife Leslie, daughter Alexis and son Blake, Lubbock will always be home. Frank grew up in the beautiful northwoods of Canada. A naturally gifted speaker, he realized his dream to become an Auctioneer attending Reisch Auction College (now World Wide), in 1972. Col. Stapleton went on to the top of his profession by winning both the Canadian Championship and All-Around World Champion Auctioneer in 1985. Considered the dean of Canadian Auto Auctioneers he and his wife Betty reside and conduct Grist Mill Auctions. Excelling in his profession won him the title of 1972 World's Champion Livestock Auctioneer. He graduated from World Wide College of Auctioneering in 1959 and has continually been a champion. Bob is a past National Auctioneers Assn. President and a N.A.A. Hall of Famer. Theresa Taylor was raised in rural eastern Ontario, Canada. Always bright and engaging, she has risen to the top her whole life. A successful business woman already, she attended World Wide College of Auctioneering in 1997. In a short time she is the 2004 All-Around World Champion. Col. Taylor holds the accreditation of Certified Auctioneer and Appraiser in Canada and the U.S. Theresa is a member of the Auctioneers Assn. Of Canada, Ontario Auctioneers Assn. And the National Auctioneers Assn. and makes her home in South Lancaster, Ontario with husband Bill. Col. Ralph Wade, a 1962 graduate of World Wide College of Auctioneering has excelled in the auctioneering profession as the 1974 World Champion Livestock Auctioneer and the 1995 International Champion Livestock Auctioneer. As Col. Wade says "success is achieved through hard work, commitment, and a driven desire to be the best that you can be." Hold on for an enjoyable trip when you listen to this legendary champion! Col. Al Wessel went to his first farm sale at age 4 with his dad, during high school he cleaned livestock pens at the sale barn to make ends meet for his family. After high school he headed for Mason City, Iowa to auction school under Col. Joe Reisch. Now 2003 International Champion Auctioneer, 2000 and 2004 Runner-up World Champion Auctioneer and 1989 Minnesota Champion Auctioneer. From growing up "poor as a church mouse", he now owns a bank and a packing house. He credits his father, his mother, both deceased, and old time auctioneer Bob Eldred for his inspiration. A family man and a church trustee, he makes his home with wife Barb of 22 years and daughters Anne and Kate. Dr Witt has unique career combinations. He not only had a very successful career in veterinary medicine, but also is a very successful auctioneer. Dr Witt currently inspects thousands of feeder pigs for a local livestock market each week, then goes to the auction block to cry the auction. We are very fortunate to have a man with his credentials to not only instruct in the classroom the art of bid calling; but also to lecture on the animal science regarding health inspections and recognizing different health problems in the livestock auction market. An excellence of selling livestock has been met and preserved by Col. Ronnie Woodward, the 1970 World Champion Livestock Auctioneer. Many feel Ron has one of the smoothest, most pleasing chants in the history of Auctioneering. Ron and wife Molly are first class - now retired. If the definition of Champion is the lives changed through the efforts of a good leader then Col. Taylor is on top of the list. Through his and his wife Eve's dedication to the auctioneering profession of 20 years of WWCA ownership, "Taylor-made" auctioneers from all over the United States and Canada have been able to take their place as a professional auctioneer. Thus, a sincere thank-you for a job well done! We have saved our most honored and revered spot for the founder of World Wide College of Auctioneering (formerly Reisch Auction College) Because of this great man and his dedication to our profession, through his innovative and cutting edge education and training techniques, over 30,000 Auctioneers now enjoy the title of Colonel. Considered one of the greatest auctioneer orators in the history of Auctioneering. Many have tried to emulate his world class delivery and salesmanship. The world of professional Auctioneering is profoundly grateful to Col. Joe Reisch, the man many consider one of the greatest Auctioneers who ever lived.